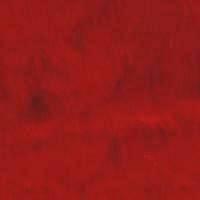 This is a very soft, very pretty Santa suit red textured seal. The pile length is approx. one half inch and while it is not showing up as well as we would like in the picture, the fur has a texture to it. While this fur just screams Santa-it is very soft and pretty and would work well for costumes, handbags, home furnishings, hats, scarves. etc. You will need to see a sample as the picture does not do this fur justice. 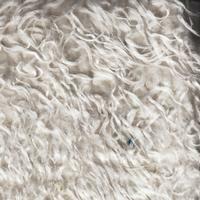 This is a supersoft, curly, mongolian lamb type fur with a pile lenth of approx. 1.25 inches. this mongolian lamb is different that the other in the fact that the pile length is longer-the fur is thicker and softer and it is just a better quality. The color is a very nice creamy ivory and for a mongolian lamb type fur it is quite dense. This fur would work well for hats, boot toppers, antique Santas, pillows, etc. This fur is soft as can be and very versatile. The pile length is approx. one inch and there are three tones to the fur. The basecolor is a medium mocha brown which fades to a cream tone and then there are dark brown tips. 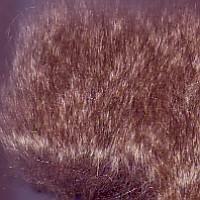 This is the type of fur that you can really use for any project. FANTASTIC NEW FUR!! This fur is so very pretty. The main color is a lovely rose and then there are subtle black tips. The pile length is approx one and a quarter inches and the feel is so very soft and plush. The picture does not do this fur justice-must be seen and felt. 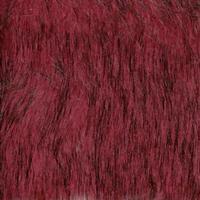 Use this fur for hats, scarves, boot toppers, vests, jackets. etc.